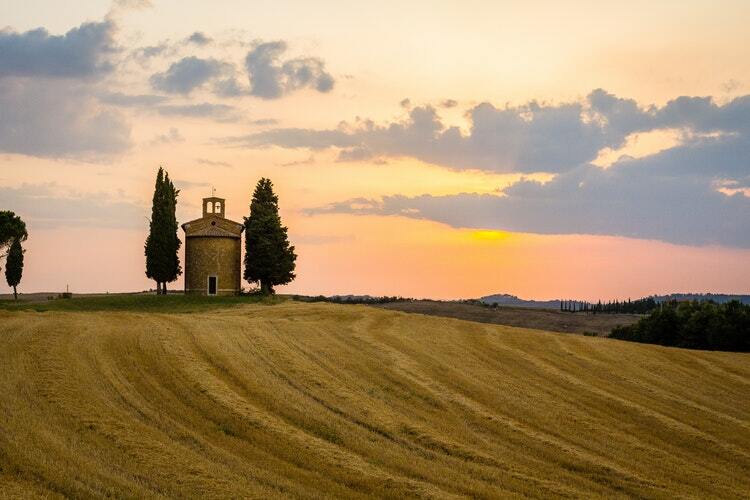 If you ask someone what is the not-to-be-missed place in Italy, you will probably get the following answer: Tuscany. However, few know exactly where Tuscany is. Everybody has heard about it at least once in his and her lifetime. Many know at least something about its rolling hills, stunning landscape, excellent food and wine, historical cities and villages. For its well-known qualities, you may think of Tuscany as a place only existing in dreams, but the truth is that you can reach it and enjoy it, for sure. You just need to know where it is before planning your journey. Tuscany is one of the 20 regions of Italy. In Italian, it is called “Toscana”(the right pronunciation sounds like “Tos’kana”). Therefore, even if we like to think about Tuscany as a dreamland or a pleasant state of mind, it is an actual geographical place, well-defined with borders. You may also wonder whether Tuscany is situated in Northern Italy, like Milan and Venice, or in Southern Italy, like Rome and Naples. Well, the answer is – in-between! 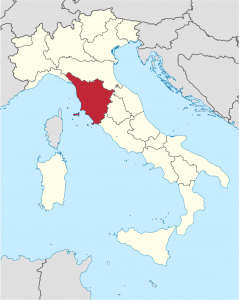 In fact, Tuscany is situated in Central Italy. This is doubtless one of its qualities because thanks to its position, you can easily reach Tuscany both from Southern and Northern Italy. Moreover, it is a quite big region, which is another good quality. Its remarkable size covers a variety of landscapes – we can say that Tuscany is actually an effective summary of all the beautiful Italian panoramas. As a matter of fact, in Tuscany we can skip from the seaside to the top of the mountains, and from astounding hills to many famous historical cities. Anybody that has told you that Tuscany is the not-to-be-missed stop-over in Italy, was actually right! Now that you know where Tuscany is, it is time for you to plan your visit. You may ask yourself when is the best time to visit Tuscany or what is there to do in Tuscany if you are planning a visit in spring. Don’t worry, you will always find plenty of attractions, no matter the season (and we can give you some piece of advice). First, Florence is Tuscany’s administrative centre and one of the most stunning cities in Italy. It is rich in history and art, home to famous museums like the Uffizi Gallery and surrounded by beautiful hills and countryside where Chianti vineyards grow. Then, there are Pisa and Lucca. They are smaller than Florence, but not at all less interesting. In Pisa, you can visit the renowned Leaning Tower, while in Lucca you can discover a perfectly preserved medieval city inside its ancient walls. Just like Florence, they are both encircled by hills with plenty of things to do to fill your day with activities, including some wine tasting experience. Besides, if you are a countryside lover and want to find the best landscapes, you should point to the middle of the region, in the heart of the Tuscan hills and wine routes. There, along with the breath taking panorama, you can discover some off the beaten paths villages such as San Gimignano, famous for its ancient towers, and Volterra, which is rich in antique ruins and artisans workshop. Even though Tuscany is a wide region and although there are many must-see attractions, we have some good news for you: if you are staying in one of the main Tuscan cities, the distances won’t be a big deal. Indeed, you can reach most of these amazing places within a day tour – now that you know where Tuscany is and what are its highlights, take a look at our proposals and pick your favourite!